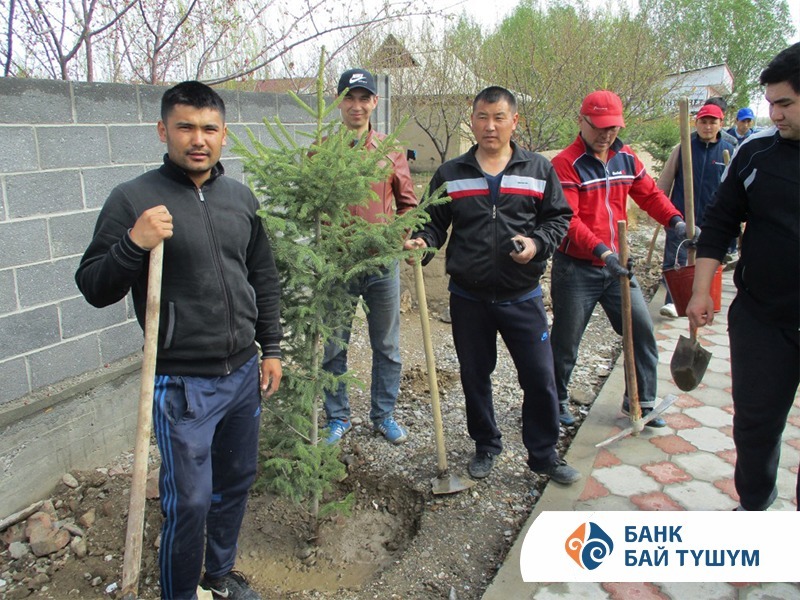 Recently our colleagues from Batken branch joined the national clean-up event, purchased and planted 6 seedlings of Tien-Shan spruce along Maksutov Street. The initiative is to create a Walkway of Banks in Batken, which will gratify the citizens at any time of the year, due to evergreen coniferous trees, it was a general idea, suggested by employees of ten Batken banks and financial institutions. The seedlings of the Tien-Shan spruce (a total of 30 young trees) were purchased at the expense of banks, and the Batken mayor’s office provided land for planting. Deputy Mayor of the city Mamasydyk Sultanov and deputy of the gorkenesh Akylbek Orozov, as well as director of the NBKR representative office in the Batken region Akmal Razzakov participated in the planting of seedlings. This event became one more “brick” of a large flash mob that is confined to the first environmental forum of Kyrgyzstan “Too Tokoi/Mountain Forest”. It is a reminder that the forum will be held in Bishkek this Saturday, April 14. 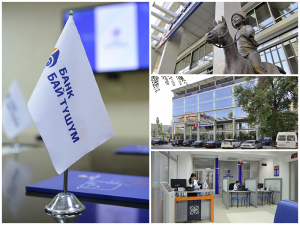 “Bai-Tushum” Bank is one of the sponsors of this major event.